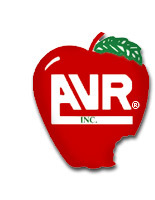 AVR, Inc. & Affiliates is committed to quality control. We constantly research and test every aspect of concrete to perfect and improve our mixes, overall concrete quality, and capabilities. 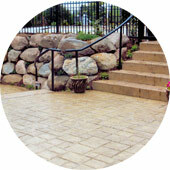 There are hundreds of combinations of cements, concrete admixtures, aggregates and other cementitious materials. We test every cement, aggregate, and admixture that we use in our concrete to be sure they conform to manufacturer's standards and perform as expected. Visit our Quality Control/Engineering Page for mix design submittal information including cement and fly ash specification sheets, admixture specifications, and gradation info. 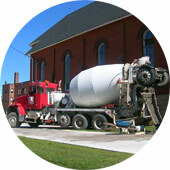 Ordering concrete correctly can make your project run a lot smoother. Spend some time on our Ready Mix Dispatch Page if you have questions about the information that our dispatchers look for, as well as what information you should get from them. 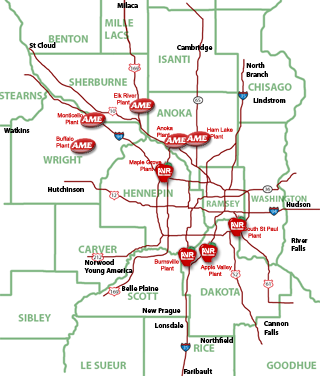 You can always call our dispatch team at AVR and AME if you prefer live answers. 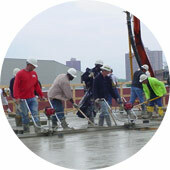 Use the Concrete Calculator Quick Tool located on the right toolbar above to figure the amount of concrete needed. Our trucks haul approximately ten (10) cubic yards per delivery when fully loaded, so remember that smaller loads often have extra delivery charges…as a result it is usually cheaper to order just a little extra rather than run the risk of running short and having to pay additional delivery charges for the balance load. Be sure to make a 10% allowance for uneven sub-grade, spillage, etc. and round up to the closest 1/4 yard. 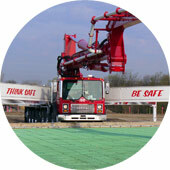 The one thing that distinguishes AVR Concrete Pumping is customer service. Having the flexibility to respond quickly to customer demands and the ability to schedule around customer changes is a key selling point for AVR Concrete Pumping. It is our mission at AVR Concrete Pumping to provide our customers all the pumping services they need to their 100% satisfaction. We are able to handle any size job, big or small. Our fleet of concrete pumps range in size from 32 Meter (106 feet) reach to 45 Meter (145 feet) reach. 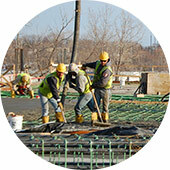 Please visit our Concrete Pumping Page for more information. From traditional ready mix concrete to specialized mixes, AVR, Inc. can produce a variety of concretes to meet strength, speed, aesthetic, and structural requirements. Our service area extends throughout the greater Minneapolis metro area to ensure that we can provide consistent product and service to all our customers. 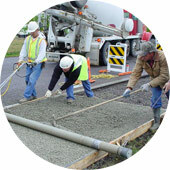 Please visit our Concrete Products Page to find out more information on our traditional concrete capabilities as well as many of our specialized and high performance concrete mixes. 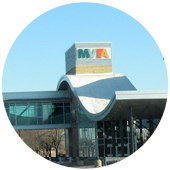 The "Concrete In Practice" Series provided by the National Ready Mixed Concrete Association (NRMCA) explains a large number of important topics about concrete. These sheets answer the "What, Why and How?" about each topic. They are available at the NRMCA Web Site. 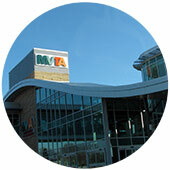 AVR, Inc. is a leader in green building technology. From pervious concrete and ICF construction to Leadership in Energy and Environmental Design (LEED™) high cement replacement concrete, we can do it. Please visit our Build Green Page to view our Green Building and LEED™ capabilities. AVR, Inc. & Affiliates is a distributor of ICF Forms. For more information regarding ICF forms visit our ICF Page. AVR is known as the leader in commercial ICF construction, see why!